Improvisation A La Mode unravels the mystery of improvisation by revealing Carlton’s unique approach for instantly identifying parent keys along with their respective modes and applying his improvisational know-how to create rich colors and textures in solos and rhythm work. All seven modes are presented and discussed in detail to explore the mode’s construction and tonality. Using the mode’s corresponding jam track, Carlton demonstrates the mode’s tonal colors and their application for solo and rhythm work. 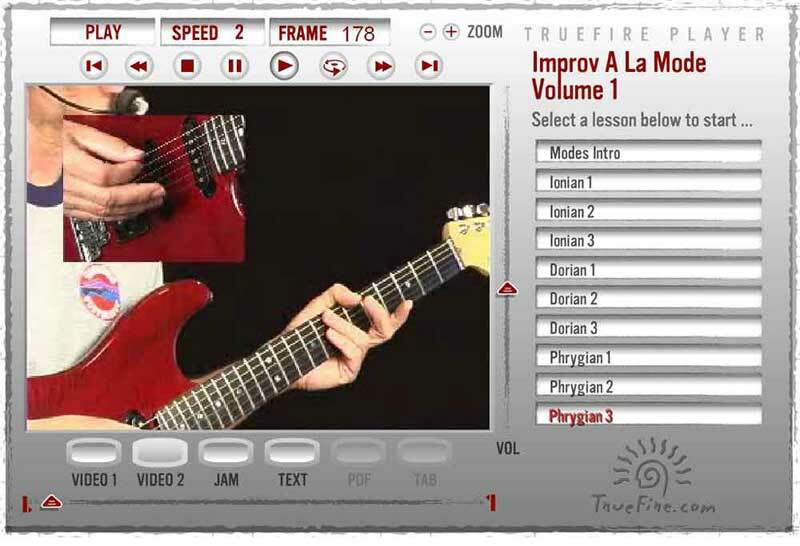 The course also comes with Brad Carlton’s JamBox, which serves up 100 jam tracks across a variety of styles so you can apply your new-found improvisational prowess. Each jam track features a reference chart for solo and rhythm improvisation guidelines. Release Note: This includes the sixth disc (a bonus disc) which is an audio cd (ripped from source in this case). Brad Carlton shows and explains many of the improvisations he does on this audio tape.